The star we know as GRB030329 was named after the day the news of its death reached Earth. About 2,650 million years ago, this star exploded. For thirty seconds it put out more power in the form of γ rays than everything else in the visible universe combined. These γ rays reached us on March 3rd, 2003, and they were detected by a satellite called HETE-II: the High-Energy Transient Explorer. The detection of GRB03029 set off a frenzy of activity among astronomers all over the world. As the closest γ-ray burster to be seen by well-prepared earthlings, GRB030329 taught us a lot. We're not completely sure what it was - but we have a pretty good guess, and it makes a nice story, so I'll recount it as if it were a fact. But what makes them really special is that their spectral lines show little or no hydrogen. Since most of the universe is made of hydrogen, a star without hydrogen is like a dry fish. How can this be? Well, the life of a star is largely determined by its mass. Small stars last a long time and fade away inconspicuously, while big stars live fast and die with a bang. Wolf-Rayet stars are among the biggest, about 60 times as heavy as the Sun. Like the sun, they begin life as cloud of gas that collapses and heats up until the hydrogen in its core "catches fire" and starts fusing into helium, like a gigantic H-bomb held together by its own gravity. The core is surrounded by a envelope of cooler gas that transmits energy to the surface by convection and radiation, but doesn't actually do any fusion itself. This stage of a star's life is called the "core burning phase". But after a while helium builds up and sinks to the center, forming an inert helium core, with all the fusion going on in the layer of hydrogen right next to the core. This is called the "shell burning phase". What next? Well, for the Sun, as its hydrogen gradually runs out it'll become a "red giant", expanding to engulf the Earth... while meanwhile its helium core shrinks to a ball twice the size of the Earth and about 100 times the density of water, turning from ordinary plasma into something called a "degenerate electron gas", where the Pauli exclusion principle limits further compression. As the core shrinks it'll heat up, and when it reaches a temperature of 100 million kelvin the helium will catch fire and start fusing - mainly into carbon. Models predict that this happens in a runaway reaction called the "helium flash", which puts out about 100 billion times the power of the present-day sun for a few hours - zounds! - but gradually settles down into a more stable phase of helium burning that lasts for tens of millions of years. During this phase, the Sun will not be a red giant anymore, but instead a hotter "yellow giant". Bigger stars do more exciting things. In particular, stars heavier than about 5 solar masses undergo a "carbon flash" when the carbon-rich core reaches 600 million kelvin and starts fusing into heavier elements. Heavier stars then go on to an oxygen-burning phase. Even heavier ones go on to a silicon-burning phase. But when silicon fuses, it forms highly stable nuclei like iron that don't want to fuse any further. So, silicon burning is the end of the line. And it doesn't last long! For example, a star 25 times the mass of the Sun is expected to spend about 5 to 10 million years burning hydrogen, 0.5 to 1 million years burning helium, 500 to 1000 years burning carbon, 6 to 12 months burning oxygen... but just a day or so burning silicon! Then what? Well, the details depend on the star's mass. But when a star of at least 8 solar masses runs out of fuel, its core is made mainly of iron, and heavier than our Sun. When it cools, it reaches a point where all of a sudden it collapses - in about a tenth of a second. When it crashes in on itself, it gets so hot that the iron nuclei disintegrate and the whole mess explodes in a "type II supernova". The star's outer layers get thrown off at high speeds, while the core itself gets crushed into a neutron star... or, for truly heavy stars, a black hole! Type II supernovae are among the most violent events in the cosmos. They can easily reach a temperature of about 50 billion kelvin and emit 1046 joules of energy, which is what our galaxy puts out in 10 years! 99% of this energy is in the form of neutrinos, emitted when protons in the iron core absorb electrons and turn into neutrons. But, the remaining 1% in the form of electromagnetic radiation is still enough to fry anything in the vicinity. The supernova in the Crab Nebula was about 6,300 light years away, but when its light reached us in 1054 AD, Chinese astronomers could see it in the daytime for 23 days! You may think I've forgotten about GRB030329 and Wolf-Rayet stars, but I haven't. This big digression was just to set the stage. I've sketched what stars of up to 25 solar masses will do, but remember, Wolf-Rayets are a lot bigger: they begin life at about 60 solar masses. And astronomy resembles opera in this way: the bigger the star, the more noise they make in their final scene. So, the stuff about supernovae was just to whet your appetite. So, let's sit back and watch the thrilling life story of GRB030329... assuming that it began its days as most Wolf-Rayets do. As a child, it burnt hydrogen in a huge core of about 50 solar masses. After a while helium "ashes" built up in this core, so it moved on to burning hydrogen in a shell. But this process put out so much energy that the envelope started getting blown away in a powerful stellar wind! Since the helium wasn't burning, the core contracted until the temperature hit 40 million kelvin and the helium caught fire. It started burning into carbon-12, but some hydrogen got into the core and made carbon-13 and nitrogen-14, and later - when the helium was almost all burnt - oxygen-16. All the while the stellar wind was increasing, and eventually almost all the hydrogen was blown away, leaving only a bluish-white core full of helium, carbon, nitrogen and a little oxygen. Now you see how a star gets rid of its hydrogen! At this point GRB030329 was a classic Wolf-Rayet star: almost no hydrogen in the star itself, lots of stellar wind, and surrounded by a big nebula of gas and dust that had been blown off. When all its helium was burnt, our hero's days were numbered. In an ever-accelerating frenzy, it spent its last centuries burning carbon, then oxygen, then silicon. Meanwhile its stellar wind kept picking up speed, up to 5 or 10 thousand kilometers per second, blowing away more and more gas and dust. By the time all the silicon had burnt to iron, the core had shrunk down to about 10 solar masses. And when the fuel ran out, the core cooled down and collapsed. The core was so big, and its collapse so drastic, that it didn't "bounce back" and explode outwards, as in a supernova. Instead, gravity triumphed! A black hole formed, sucking down a hefty amount of the core in less than a tenth of a second. As several solar masses of iron rapidly spiralled down the throat of this growing black hole, it formed a pancake-like "accretion disk", which emitted powerful jets of radiation and matter in both directions along its axis of rotation. In a few seconds, these jets passed through the outer shell of the star and, together with a blast of newly created radioactive nickel-56, shattered it completely. Our star became a "hypernova"! Meanwhile, the jets plowed into the material surrounding the star and created highly directional beams of γ rays shooting in opposite directions... one of which just happened to be pointed directly at the Earth. 2,650 million years later, the γ rays reached us, and were detected on March 23, 2003 by HETE-II. Hundreds of such bursts are detected each year, but this one was closer than most, and a whole system had recently been devised for quickly turning the attention of the world's telescopes to the spot where a γ-ray burster had been seen - in this case, within the constellation Leo. So, within 90 min, a 40-inch telescope at the Siding Spring Observatory in Australia was looking at this spot. So was a telescope in Japan. They saw the optical afterglow of the γ-ray burster and watched how its brightness changed with time. And within 24 hours, a spectrograph on a telescope in Chile made detailed readings of the spectrum, measuring the redshift (z = 0.1685) and thus the distance of the burst, and seeing signs of radioactive nickel - about 1/3 of a solar mass of the stuff, according to one estimate! Later, more telescopes probed the event in different ways. The details of what was seen gave a lot of credence to the "hypernova" or "collapsar" model of γ-ray bursters, championed by Stan Woosley of U. C. Santa Cruz, among others. But much remains mysterious about γ-ray bursters. Nobody knows exactly how the energy from the jet gets turned into γ rays! And, the hypernova model only fits "long" γ-ray bursters, where the burst lasts about 2 seconds or more. There are also "short" ones, which may work some other way. So, the hows and whys of γ ray bursts remain one of the most fascinating mysteries in physics. And since we can't actually peek inside a star, a lot of the attempts to study these things involve complicated mathematical models... very technical stuff, when you actually try to read it. So, I really am talking about mathematical physics. Honest! Here are some ways to learn more, starting with the fun easy stuff. 11) M. Livio, N. Panagia and K. Sahu, editors, Supernovae and Gamma-Ray Bursts: The Greatest Explosions since the Big Bang, Cambridge U. Press, 2001. There must be a bunch of conference proceedings written after the March 2003 burster, but maybe they haven't been published yet, since I haven't been able to find them! 12) Bradley W. Carroll and Dale A. Ostlie, Introduction to Modern Astrophysics, Addison Wesley, 1996. 13) R. J. Tayler, The Stars: Their Structure and Evolution, 2nd edition, Cambridge U. Press, Cambridge, 1994. 14) R. Kippenhahn and A. Weigert, Stellar Structure and Evolution, Springer Verlag, Berlin, 1991. 2) What causes high temperature superconductivity? 3) How can turbulence be understood and its effects calculated? 4) The Navier-Stokes equations are the basic equations describing fluid flow. Does these equations have solutions that last for all time, given arbitrary sufficiently nice initial data? 1) How should we think about quantum mechanics? 2) Can we build a working quantum computer big enough to do things ordinary computers can't easily do? 1) What happened at or before the Big Bang? 2) Are there really three dimensions of space and one of time? If so, why? Or is spacetime higher-dimensional, or perhaps not really a manifold at all when examined on a short enough distance scale? 3) Why is there an arrow of time; that is, why is the future so much different from the past? 4) Is the Universe infinite in spatial extent? More generally: what is the topology of space? 5) Will the future of the Universe go on forever or not? 6) Is the universe really full of "dark energy"? If so, what causes it? 7) Why does it seem like the gravitational mass of galaxies exceeds the mass of all the stuff we can see, even taking into account our best bets about invisible stuff like brown dwarfs, "Jupiters", and so on? 8) The Horizon Problem: why is the Universe almost, but not quite, homogeneous on the very largest distance scales? 9) Why are the galaxies distributed in clumps and filaments? 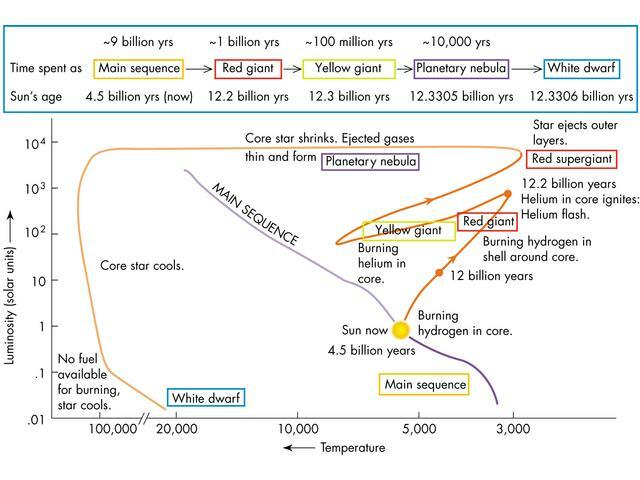 10) When were the first stars formed, and what were they like? 11) What are γ ray bursters? 12) What is the origin and nature of ultra-high-energy cosmic rays? 13) Do gravitational waves really exist? If so, can we detect them? If so, what will they teach us about the universe? Will they mainly come from expected sources, or will they surprise us? 14) Do black holes really exist? (It sure seems like it.) Do they really radiate energy and evaporate the way Hawking predicts? If so, what happens when, after a finite amount of time, they radiate completely away? What's left? Do black holes really violate all conservation laws except conservation of energy, momentum, angular momentum and electric charge? What happens to the information contained in an object that falls into a black hole? 15) Is the Cosmic Censorship Hypothesis true? Roughly, for generic collapsing isolated gravitational systems are the singularities that might develop guaranteed to be hidden beyond a smooth event horizon? 1) Why are the laws of physics not symmetrical between left and right, future and past, and between matter and antimatter? 2) Why is there more matter than antimatter, at least around here? 3) Are there really just three generations of leptons and quarks? If so, why? 4) Why does each generation of particles have precisely this structure: two leptons and two quarks? 5) Do the quarks or leptons have any substructure, or are they truly elementary particles? 6) Is there really a Higgs boson, as predicted by the Standard Model of particle physics? If so, what is its mass? 7) What is the correct theory of neutrinos? Why are they almost but not quite massless? Do all three known neutrinos - electron, muon, and τ - all have a mass? 8) Is quantum chromodynamics (QCD) a precise description of the behavior of quarks and gluons? Can we prove that quarks are gluons are confined at low temperatures using QCD? Is it possible to calculate masses of hadrons (such as the proton, neutron, pion, etc.) correctly from the Standard Model, with the help of QCD? Does QCD predict that quarks and gluons become deconfined and form plasma at high temperature? If so, what is the nature of the deconfinement phase transition? 9) Is there a mathematically rigorous formulation of a relativistic quantum field theory describing interacting (not free) fields in four spacetime dimensions? For example, is the Standard Model mathematically consistent? How about Quantum Electrodynamics? 10) Is the proton really stable, or does it eventually decay? 11) Why do the particles have the precise masses they do? 12) Why are the strengths of the fundamental forces (electromagnetism, weak and strong forces, and gravity) what they are? 13) Are there important aspects of the Universe that can only be understood using the Anthropic Principle? Or is this principle unnecessary, or perhaps inherently unscientific? 14) Do the forces really become unified at sufficiently high energy? 15) Does some version of string theory or M-theory give specific predictions about the behavior of elementary particles? If so, what are these predictions? Can we test these predictions in the near future? And: are they correct? 1) How can we merge quantum theory and general relativity to create a quantum theory of gravity? How can we test this theory? Hmm. I was going to say something about number theory, but I'm out of time!